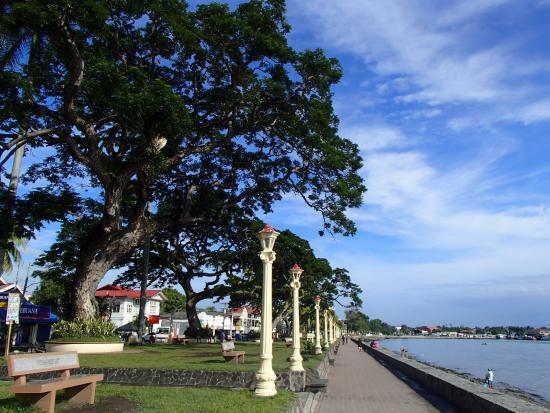 Dumaguete is the main city of the island of Negros, and it's the capital of Negros Oriental. It's a small and pleasant city with about 100,000 people. We suggest to spend a couple of days here before continuing along the coast. You can enjoy a nice relaxing walk on the Rizal, the boardwalk going from the port till the main square and its cathedral. It's a European-style boulevard, with lanterns illuminating a calm sea, where the fronds of the trees and the benches offer a refreshing shade and a pleasant break from the drenched heat of the city. Walking on the boardwalk among restaurants and bars where you can taste local food or drink something frsh, you easily reach the main square of dumaguete where you can find the splendid Cathedral dedicated to a little known Santa Caterina of Alexandria, and not to the Virgin Mary as most of the Philippine churches. It'ss the most ancient church of all the island of Negros, built in 1750 and then restored during the years with different styles. Tghis church deserves a visit inside its white walls and the statues of the saints illuminated by the light that filters from the splendid rose of the 30's, rebuilt on the main facade of the church. 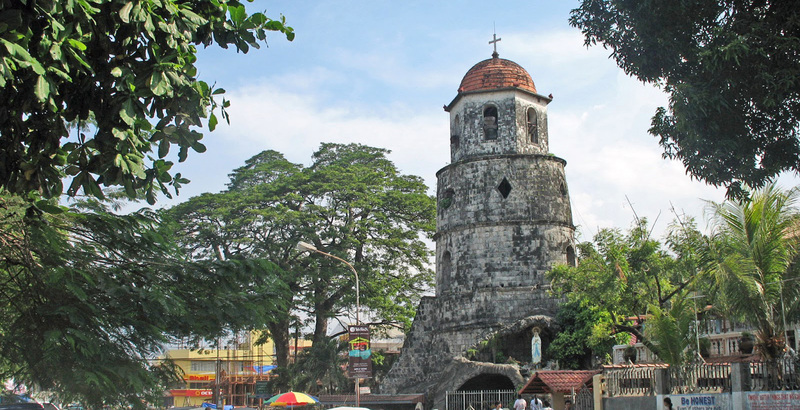 Beside the cathedral you can see Belfy, the ancient watchtower built to protect the city from the Moros (who were considered enemies at that time by the catholic Filipinos) or perhaps from the pirates. The tower is all made by coral material and today it is adorned with a statue of the Virgin Mary, to which the Filipinos are very devoted, in fact the tower recalls many believers in pilgrimage from the nearby islands; they come to light a candle in prayer with a special rite. The peculiarity of the candles is that they are not lit and set to stand but lit and put lying, so they consume quickly by making a big flame. In this way, the faithful ask intercession for a miracle. 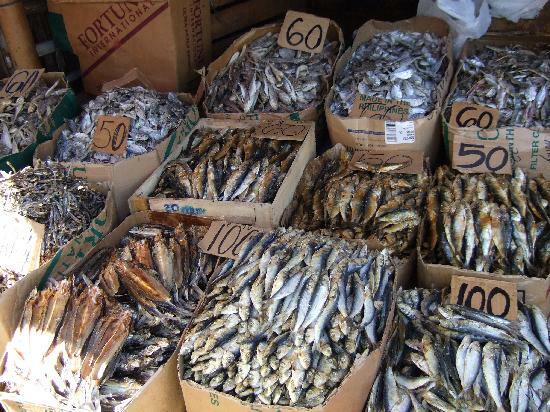 If you are in Dumaguete, do not miss the characteristic Malatapay market, the Filipino market for food and livestock. It's opne every day, and wednesday is the busyest day. You can see everything that Negros Island has to offer, including some particular and wonderful foods that are a real delight to the palate! It's located about 30 minutes from Dumaguete, you can take a jeepeny to get there. It might be a little out of the way, but is off the road from the coastal road to the wharf for Apo island, so you can visit it while coming back from there. We suggest to go there early in the morning , and spend there at least one hour, it's really worthy! And trust it, without even realizing it, in a moment it will be already noon, the right time to take advantage of one of the many stalls selling delicious food prepared at the moment Food stalls are everywhere and they sell all kinds of vegetables, dried fruits and fresh fish. This market is a real celebration not only for the eyes but also for the ears, the peculiarity is that animals are sold at auction: cows, goats, pigs, beaten to the best bidder! If you still have time, you should stop by the Noah, Negros Oriental Arts and Heritage, which is also along the way for Apo Island. It is a small place full of typical souvenirs coming from all over Negros Island and neighboring islands. A feature of Noah is that they are not only selling economic souvenirs, but also pretty handmade jewelry made in front of your eyes. And for this reason, you will appreciate what you are buying and you will be willing to pay a little more.